A trip down your local dairy aisle and you may be surprised to find the word prebiotic beginning to appear next to probiotic on several labels. Often these words or concepts are introduced to us in the marketplace and while they may become familiar sounding over time, chances are we’re still at a loss to explain how they improve our health (unless you read our blogs of course!). 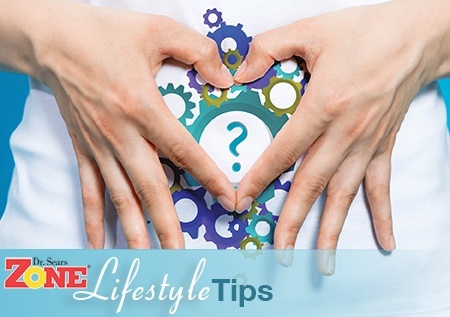 Here we’ll dive into the topic of gut health, defining some of the key terms and our recommendations for a healthy gut. When we hear the word “gut” we might initially think stomach or that butterfly feeling we get when we’re nervous or anxious, but the subject is incredibly complex and evolving each day. In the simplest form, gut health encompasses our entire digestive system starting with where food enters our mouth and where it exits. You can see why this topic doesn’t come up at dinner parties! We may not think much about the process of eating, unless of course it doesn’t agree with us, but so much happens within that 25-30 hour window from when we first smell and ingest a food to its excretion from the body. The gastrointestinal (GI) tract, or tube that runs from our mouth to large intestine, is lined with mucus and trillions of microorganisms (a.k.a microbes) that thrive and metabolize the foods we eat. The majority of these reside in our large intestine or colon. We now know that a strong link exists between the microbes (bacteria being a type of microbe) that inhabit our gut and our risk for disease. This is why gut health is such a hot topic. Probiotics are live bacteria or yeast found in food products that help to promote the maintenance of the beneficial bacteria in our gut1. They aid in keeping the balance between both the good and bad bacteria. This is one reason their use is suggested after we go on antibiotics. In an effort to get rid of the bacteria causing us to be ill, antibiotics can’t discriminate and wipe out both the good and bad. Probiotics such as those found in kefir or yogurt help to provide a stimulus to the immune cells that line the gut to prevent potentially bad bacteria from trying to get into the gut while good bacteria are being re-established. Think of them as immune boosters. What’s interesting to note, is that it can take almost eight weeks after antibiotic use for the number of bacteria to rebound to baseline2,3, but weeks to months for the diversity of that bacteria (meaning the different types) to return4. This just stresses the importance of not overusing antibiotics as we are still learning about how their use disrupts the balance of bacteria in the gut5 and the long-term implications on our health. Lactobacillus, Bifidobacterium, Lactococcus, Enterococcus, Bacillus, Saccharomyces. 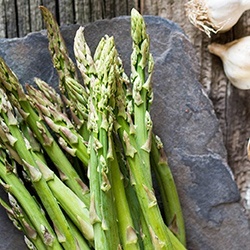 What are Prebiotics (a.k.a Fermentable Fiber)? Prebiotics are the food that stimulates the growth of good bacteria in our gut. They come from non-digestible carbohydrates and are found naturally in foods like leeks, asparagus, artichokes or additives such as inulin or oligosaccharides. Since these aren’t fully digested they are able to reach the colon where they are fermented by good bacteria. This is why you may hear them referred to as fermentable fiber. The result of this fermentation is that it produces beneficial changes in the composition or activity of the bacteria helping to improve our overall health and well-being1,5. All prebiotics are fiber, but not all fiber is a prebiotic5. One of the primary end products of fermentable fiber is short-chain fatty acids. These have a profound impact on our health including maintaining a strong barrier between the microbes in the gut and limiting their potential entry into our blood. If you don’t have enough fermentable fiber in the diet, you will have a deficiency in short-chain fatty acids. This can lead to a leaky gut, where you get holes in the lining of the gut barrier and bacteria begin to leak into the blood, creating an assortment of health problems. Gut health requires two essential agents: fermentable fiber to supply energy to the microbes in the gut (primarily in the colon) as well as adequate levels of polyphenols. Think of the polyphenols as gardeners that help to promote good bacterial growth and inhibit the bad. Without adequate levels of either in the diet, the result is increased gut inflammation and an increase in leaky gut which can cause inflammation in the body. Not all fiber is fermentable by the bacteria in the gut. In fact, only about 10-15% of the stated fiber content of a food is fermentable. Since you need about 6 grams of fermentable fiber per day, this means you should be consuming about 40 grams of total fiber per day. Most Americans are nowhere close to that level, but following the Zone helps to get you there. 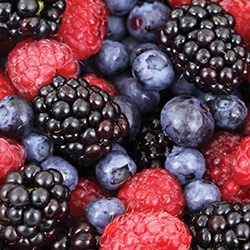 The best sources of fermentable fiber include non-starchy vegetables (such as onions, garlic, asparagus, and artichokes, selected fruits (berries and apples), legumes (beans and lentils), and nuts (almonds, walnuts, etc.). These are all rich in both fermentable fiber and polyphenols necessary for optimal gut health. The vegetables are harder to digest if you don't have adequate diversity in your gut bacteria. Polyphenols represent the primary defense mechanism to prevent bad bacteria from inhabiting the gut while increasing the production of the good bacteria. They also have gene activation properties that can increase the expression of anti-oxidative, anti-inflammatory, and anti-aging gene products. The more colorful the carbohydrates, the higher the levels of polyphenols. Most Americans get their polyphenols primarily from coffee. Unfortunately, the polyphenols in coffee or tea are not nearly as active as are the polyphenols found in vegetables or fruits. 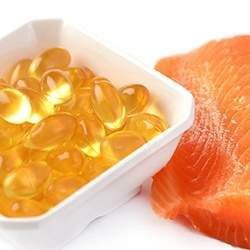 The omega-3 fatty acids EPA and DHA are the starting point for the production of hormones that reduce inflammation in the gut and prevent the development of a "leaky gut". Gut-derived inflammation is a primary source of inflammation for the rest of the body. Ideally consuming a minimum of 2.5 grams of EPA and DHA per day can help maintain a healthy gut. The average American consumes about 5% of that suggested level. Diets that strictly limit the amount of carbohydrates consumed can reduce the diversity of bacteria in the gut since they restrict fermentable fiber and polyphenols. When choosing foods it’s important to think about how the foods you eat help to nourish and support a healthy gut. By following the Zone Diet you’ll consume the right type and amount of carbohydrates to achieve the optimal levels of both fermentable fiber and polyphenols. 1. Markowiak P, Śliżewska K. Effects of Probiotics, Prebiotics, and Synbiotics on Human Health. Nutrients. 2017 Sep 15;9(9). pii: E1021. doi: 10.3390/nu9091021. Review. 3. Grazul H, Kanda LL, Gondek D. Impact of probiotic supplements on microbiome diversity following antibiotic treatment of mice. Gut Microbes. 2016;7(2):101-14. 4. Langdon A, Crook N. The effects of antibiotics on the microbiome throughout development and alternative approaches for therapeutic modulation. Genome Med. 2016; 8: 39. 5. Gibson G.R., Probert H.M., van Loo J., Rastall R.A., Roberfroid M.B. 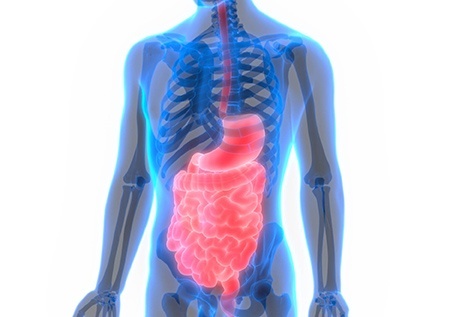 Dietary modulation of the human colonic microbiota: Updating the concept of prebiotics. Nutr. Res. Rev. 2004;17:259–275.